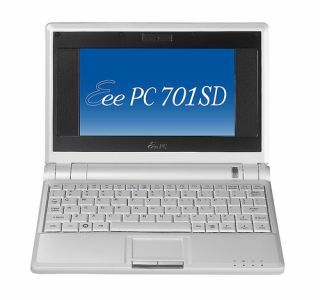 The humble netbook - but is the market for mini-computers threatened by the growth of the tablet PC and iPad markets? The successful launch of the Apple iPad and the imminent launch of a number of new Windows and Android-based tablet PCs has led a number of industry commentators to suggest that the humble netbook's days could well be numbered. Not so. According to AMD, at least. AMD reps stated this week that they don't think the burgeoning tablet and iPad market is going to significantly impact on the netbook market. "The market for netbooks is 30 million [units] a year," said Nigel Dessau, AMD's Senior VP and Chief Marketing Officer. "For the iPad, from the research I've seen, I think next year's maximum is ten million units." "There will be people who use iPads and people who use netbooks. And I think we'll discover there's room for both." Dessau took a sideswipe at the iPad, noting that while it is the "bright, shiny object" and is "always the thing we want to follow, here, on the other side of the world [from home] I can't get any movies on to it. And I can't type emails on it." Acer VP Gianpiero Morbello added: "We simply want to satisfy customers' needs… If a user wants a flat screen instead of a clamshell design, we'll be ready to satisfy this. For us, design is a continuous process, and we are prepared."